Fri., Sept. 22, 2017, 2:34 p.m.
SAN DIEGO – The busiest border crossing in the United States will close this weekend to the more than 40,000 cars that pass through it daily to Mexico. 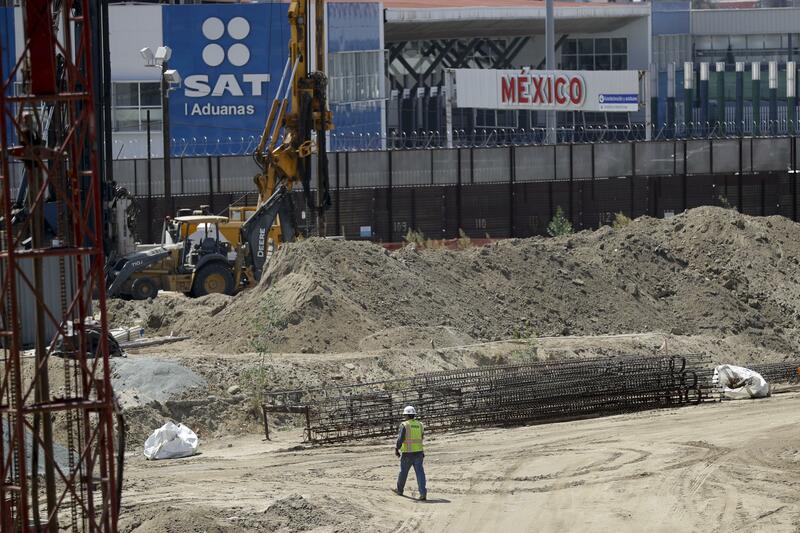 The closure between San Diego and Tijuana for work on a $741 million expansion project presents a monumental headache for border businesses, workers, tourists and Christopher Enjambre. His band, Minor Gems, plays gigs in Tijuana. Travelers have been enduring hours-long waits on the Mexican side of the border to enter the U.S. with the constant addition of security measures since the Sept. 11, 2001, attacks. Frequent crossers, like Enjambre, 28, of Chula Vista, south of downtown San Diego, worry they will now face long lines on both sides, making trips through the San Ysidro crossing intolerable. The expansion is believed to be the largest renovation of a crossing along the nearly 2,000-mile-long U.S.-Mexico border. It has been in the works for years to ease congestion and boost cross-border commerce. U.S. officials are warning people to avoid driving to Baja California from 3 a.m. Saturday until noon Monday, hoping to ease what is feared will be a massive traffic jam on the U.S. side as Mexico-bound cars are detoured to the much smaller Otay Mesa crossing to the east. Wells and other business leaders want people to cross on foot and are planning a festival with live music and food trucks to greet those who do. San Ysidro’s pedestrian crossing, where 22 inspection lanes into the U.S. were added this summer, will be open in both directions. The crossing will also remain open on the Mexican side for U.S.-bound cars. Leaders in Baja California’s tourism industry are concerned about the disruption that could continue well past the weekend as some lanes stay closed until November. They already were working to get word out that their tourist spots are safe after the U.S. State Department issued a travel advisory last month that included the region because of violent crime. Ricardo Argiles, CEO of the Rosarito Beach Group, which owns the landmark Rosarito Beach Hotel, said the border closure is a second blow. Reservations for his hotel this weekend are down 30 percent from last year at this time, and he fears tourism will keep lagging during the construction. Hotels are cutting rates to convince people to still venture south of the border. Rooms at the Rosarito Beach Hotel, once frequented by Hollywood stars like Marilyn Monroe, are going for as low as $60 a night, a 25 percent drop from last year. The hotel also offers instructions and a Google map on its website that details how to get there after crossing through Otay Mesa. “We hope people still come and once they relax, they forget about the lines,” said Argiles, president of the Hotel and Motel Association of Rosarito Beach. Baja California has been drawing more visitors with growing interest in its picturesque wine country, chic boutique hotels, and booming culinary scene from Tijuana to Ensenada, where restaurants offer Baja-Med cuisine, a blend of Mexican and Mediterranean flavors. The weekend border closure is to allow for the removal of a large metal canopy spanning over all the southbound lanes into Mexico. The crossing will reopen Monday with three southbound lanes while California’s Interstate 5 is realigned to feed into the renovated crossing. U.S. officials expect traffic flows to go back to normal by Thanksgiving, when four of the five lanes at the Western Hemisphere’s largest land crossing will be open. Anthony Kleppe of the U.S. General Services Administration said he is “cautiously optimistic” that the government’s efforts to get the word out about the closure will minimize the hassle. He expects the renovation’s biggest impact to be on the thousands who cross to work and study in San Diego and return each day to their homes in Tijuana. Once complete in summer of 2019, there will be 10 southbound lanes – twice the current number – to handle the estimated 40,000 vehicles that pass through San Ysidro on weekends and 50,000 on weekdays. The expansion also added eight more lanes from Mexico to the United States. Published: Sept. 22, 2017, 2:34 p.m. Tags: border, closure, crossing, expansion, Mexico, roadwork, U.S.